Nigel removed two dents from the boot of my prized Jaguar, and honestly you cannot tell they were there in the first place, just amazing. He is very reliable and the cost was extremely competitive to say the least. I cannot praise Nigel's work highly enough and have already passed his details to a good friend. Many thanks Nigel a true professional. Nigel came out to fix a dent on my Astra, a great job done. Was amazed by the result. Would and will be recommending his work to family and friends. Thank you Nigel. I called Nigel in the morning - he was able to come along Later that day. Nigel was friendly and professional. He quoted me a reasonable price to remove a few small parking dings. 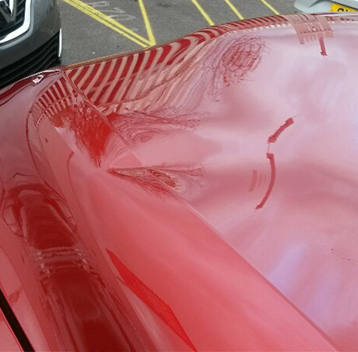 He got on with the job and in half an hour, those dings were literally rubbed out - amazing. I would highly recommend Nigel. I have been using Nigel from Premier Dents for about 5 years. I have always been very happy with his work and wouldn't use anyone else for dent removal. We have been using Nigel at Premier dent's for the last 4 years and can't praise him enough. With Nigel nothing is too much trouble, very professional and reliable unlike other company's we have used in the past. 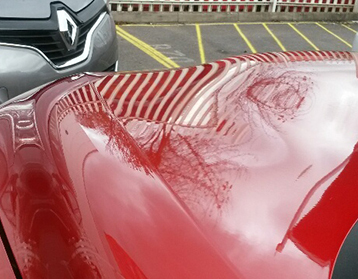 I was amazed at how Nigel dealt with a dent in my tailgate which appeared one day while I was parked in Cowley. I can't even tell where it was now! A really professional, very pleasant chap to deal with, and all fixed at my house. Couldn't be more pleased with a very reasonably priced excellent and quality job. I have no hesitation in recommending this service. Thank you so much Nigel .. definitely keeping your card in a safe place! Many thanks Nigel for removing the dent from my car.I found your service to be professional,friendly,efficient and really well priced.Thanks again! I was stunned by the repair work done to my car door today. Although it was quite a minor car-park dent it caught my eye and upset me every time I walked up to the car, so that I can now honestly say it looks like it was never there. Speaks volumes for the quality of Nigels work. He repaired it carefully, efficiently and expertly, was a pleasant guy to deal with and charged little for his work. When you consider that a conventional body shop visit would have resulted in filler, paint and a bill of around £250, Nigels fee of £40 seems astonishing to me! I cannot recommend him and his repairs highly enough. I was absolutely amazed at the repair work done to my car. It was a fairly large dent, with some other little dents inside it (work colleague's wing mirror dragged along it) and I can honestly say it now looks as good as new and cannot be seen. Nigel came out promptly, took his time repairing it carefully, was very professional and charged very reasonable fees. I would highly recommend him to everyone who needs his type of services.